A Bronze trophy was awarded to NUVALI’s Koi Fish Feed Invite for successfully carrying out design and environment responsibility all in one. The Koi Fish Feed Invite was a campaign for Ayala Land’s eco-friendly community, NUVALI which is a home for massive schools of koi fish in its multi-functional lake, situated in the greener side of Laguna. 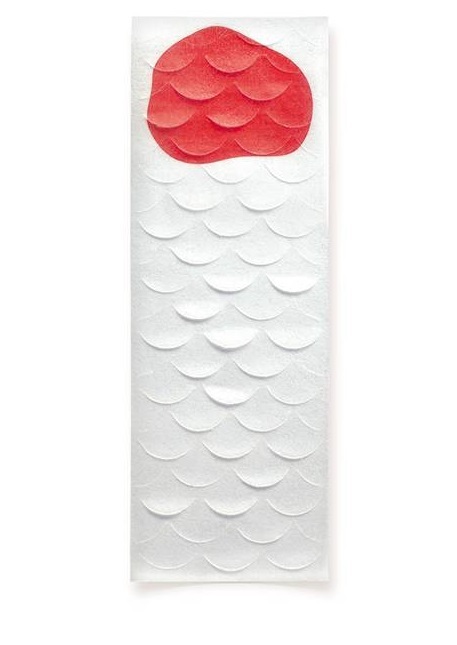 Aesthetically designed to function as an invitation and likewise as fish food, the Koi Fish Feed Invite was made of materials derived from natural ingredients, printed with edible ink in patterns mimicking the koi’s one of a kind scales. Together with TBWA/SMP, an advertising agency in the Phiippines that focus on the integration of multi-media arts and ecologically sustainable projects, the Koi Fish Feed Invite was conceptualized to mirror NUVALI’s commitment on green architecture and design. 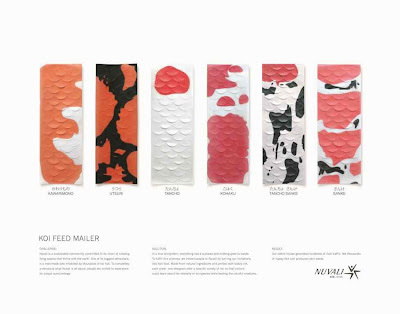 The Koi Fish Feed Invite campaign was executed by forward thinkers Melvin Mangada, Marci Reyes, Abi Capa, Jake Tesoro, Nolan Fabular, Dennis Carlos, and Angelito Tan, whose ideas are in line with NUVALI’s dedication in creating more sustainable living grounds for everybody.